With the growing use of mobile devices for search activities, it is necessary to make the act of searching easier. One of the limitations that mobile devices have is the small screen, which then requires sites to fit smaller pieces of information at a time as compared to a desktop computer. This makes navigation a bit more challenging. Web developers implement a number of best practices in order to ease navigation across all platforms from which their sites will be accessed. One of the ways that help is by the use of a search functionality. This enables users to find exactly what they are looking for without the need for having to run through the entire site. Simply filling out the search form will lead the user to the exact (or related, at the very least) results. Search functionality can be programmed to be in many styles. 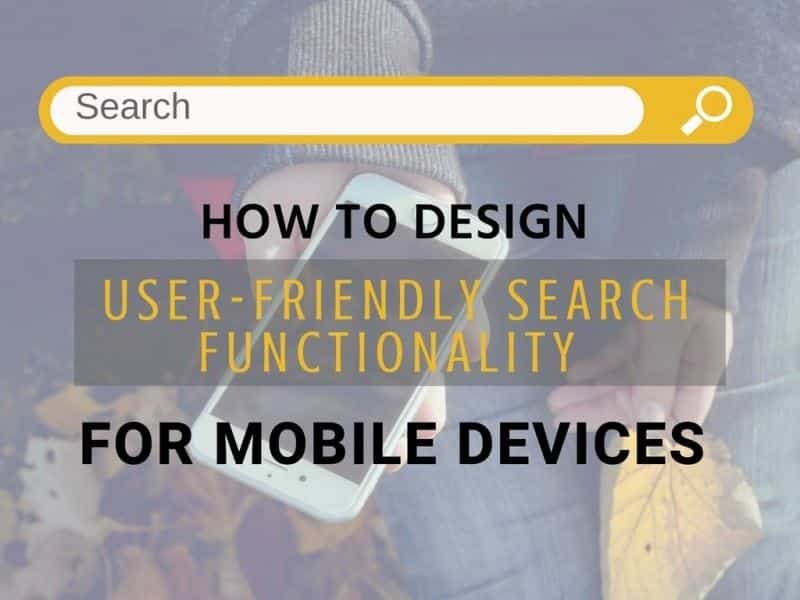 But if you have no definite idea of your own on how you wish to implement search functionality on your site, it is always okay to mirror popular styles used. Some search bars are displayed at full glory. Doing this draws the attention of your users and encourages its use. Placing it prominently at the top of your page makes it even more inviting for use. If making use of a full-length search bar will not fit with your site’s design, then you may consider making use of a search icon instead. Doing this will help you save on space and would also make it easier for you to integrate it with your site’s design, especially if you are going for minimalism. However, users may come across the icons without using them because they are not as inviting as a full-length search bar. There are ways you can highlight the search icon so they can be used. It would be great if you can make the search function easier for mobile. It is hard to type a query each time, especially if the user is on mobile. Auto-completing a query with suggestions of popular searches can help to make the search function easier. If the user is also interested in what’s popularly searched for, then the suggestion can just be chosen easily instead of having to type. It can also help if you suggest to the user his or her previous searches. There is a high chance that your customers would not buy the instant they see your product. They would most likely try to search other sites for it. And if you have the best offer, then that’s when they return. They might also search for similar products within your offerings. With this in mind, make it easy for them to return to the product page by suggesting their previous searches. It’s true that implementing voice search to your website has gained a lot of popularity. Saying it out is a lot easier than having to type your query. Voice search, however, still has some challenges and would still need to evolve to make it the best alternative. You should also decide on how the search results should look. The primary ways for which search results can be presented is as a list or as a grid. But always remember, no matter what organization of results you choose, it’s always best to present the most relevant results first. This is especially true for mobile where the digital real estate is very limited. A common practice is to show some results while the rest of the results are still loading. This is called lazy loading. Because the images usually the slowest to load, it is ideal to have the text be shown first so your users may scan through the text descriptions first while waiting for the images to load. There are positive ways on how to tell your potential customers that you do not have the product they’re looking for. Instead of simply declaring that no products are fit for the query, you can offer alternatives that partially meet the requirements of the search. To prevent not having results just because of incorrect spelling, it is always best to implement smart search which can understand queries better. Search functionality is a really big help for easing navigation, especially for mobile users. The above tips can help make the search functionality a lot more helpful. If you are able to design your site’s search functionality well, then you might just be able to make the entire process of transacting on your site a lot easier as well. So give your site’s navigation a quick check. If you’re already implementing search on your site, then check if it’s working to your favor. If you still aren’t, then you should definitely consider starting now. Kenneth Sytian is a website developer in the Philippines, the CEO of Sytian Productions. He has been designing websites and developing web apps for more than a decade. He is considered as one of the top influencers in web design and development in the Philippines.